The national mobiliser of the APRC has said that former President Jammeh must return to The Gambia “by all means”. Mayor Yankuba Colley said this at the Barra ferry terminal yesterday during his party’s trip to provincial Gambia, a tour designed to rebrand the APRC’s image. “Yahya Jammeh must come back by all means. Why not? People always talk about whether Jammeh should come back or not, but to me it is a matter of must because he is a Gambian like any one of us. I see no reason why Jammeh should not come back,” he said. Mayor Colley said although more political parties are emerging in The Gambia, the APRC still has the strongest national mobiliser in the country [himself] to ward off any potential threats. “I believe I am still the strongest national mobiliser in the country. I am not worried because I know how the country’s politics works and I know we still have the support and surely we shall thrive,” he added. The APRC interim leader Fabakary Tombong Jatta said the tour is meant to engage the party loyalists and strategise a way forward. “From there we see what should be done to address their concerns to determine the case of The Gambia right now,” he said. “Fro, one year ago, no Gambian can point to one development that the Coalition has brought to the country, except poverty and unfulfilled promises. They spend all year talking about Yahya Jammeh but that will not fill the belly of the hungry people in The Gambia. So, this is why we want to go out to talk to people about the situation in the country,” he said. He said after 12 months of smear campaign against the APRC, it is time for them to respond to their detractors and clear all the doubts raised. He said Gambians should be able to gauge between the lines and not allow political parties to deceive them. 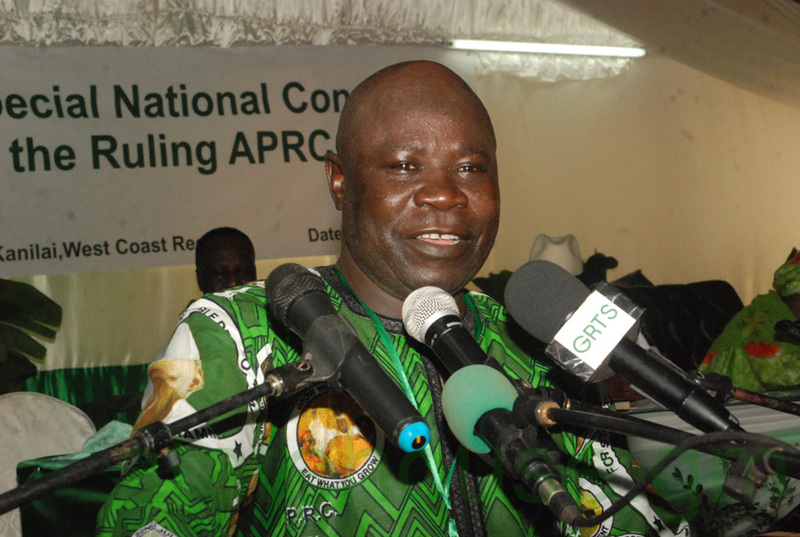 “APRC as a political party will ensure that whatever they say will be beyond reprove. We will never lie to Gambians again. Be reassured that, God willing, the next government will be the APRC,” he enthused.